There are several reasons why many people go on pilgrimage tours of the holy sites and temples of India. One, of course, is to dovetail our interest in traveling and seeing foreign lands into a way of acquiring spiritual merit. 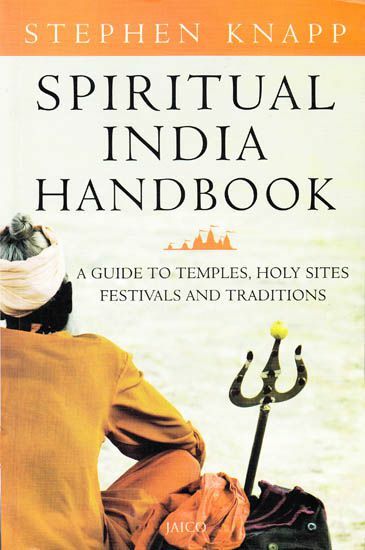 Most everyone likes to travel and see new countries and sights and inspiring places, and some of the most stimulating places are those of spiritual importance where historical events or miracles have taken place, or where significant spiritual incidents have happened as described in various spiritual texts and epics, such as the Ramayana, Mahabharata, etc. One of the most important reasons for going on pilgrimage tours and seeing the places of spiritual importance is to meet other saintly people who follow a spiritual path and see how they live. This is especially the case with saints and sages who can help us by giving their association and sharing their spiritual knowledge and realizations. This is of prime importance for us in order to align our lives in a similar manner so we can also make spiritual progress. Also, by studying in such spiritually vibrant holy places, even for short periods of time, or by taking bath in the spiritually powerful rivers, such experiences will purify and enliven us and give us a deeper understanding of how to live a spiritual lifestyle. Tours like this can give us an everlasting impression that will inspire us for years to come, maybe even for the rest of our lives. Such an opportunity may not happen often, even after many lifetimes, so if such a possibility does come into our lives, we should seriously take advantage of it. What's the Real Meaning of Pilgrimage? Pilgrimage is a sacred journey. It is a process that is not meant to simply get away from it all, but to allow oneself to encounter, see, and experience the Divine. This is accomplished by associating with holy people, visiting the holy places where the pastimes of the Divine have taken place, and where the sacred temples allow darshan: the Vision of the Supreme. 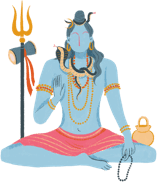 Darshan is the process of approaching the Deity in the Temple in a state of spiritual communication, open and ready to receive sacred revelations. It means to see the Absolute Reality, and also to be seen by that Supreme Reality, God. Pilgrimage means living very simply, and going toward what is holy and most sacred, and remaining focused on the opportunity of having a life-changing experience. In this way, we will undergo voluntary austerities for purification to relieve ourselves of lifetimes of karma. This process will help change our consciousness and our perception of our spiritual identity and how we fit into this world and help us gain access to the spiritual dimension through enlightenment. When you are traveling in harmony with the Divine, it is not unlikely that you will experience spontaneous help from others when you may need it. This has happened to me in many ways and many times. In such a state of consciousness, seeming obstacles will quickly disappear. However, other challenges may be there to test our sincerity, but usually, it is nothing so great that prevents us from reaching our goal unless we have some serious karma to work out. It is divine guidance that assists us in our mission and prepares us for higher and higher levels of spiritual perception. Perceiving this assistance is another form of experiencing the Divine and the spiritual progress that we are making. The objective of pilgrimage takes on more meaning when we realize the purpose of life. Life is meant for becoming free from the wheel of samsara, which means the continuous cycle of birth and death. It is for making spiritual advancement and to perceive our real identity. Excerpted with permission from Spiritual India Handbook (Jaico Books); Copyright © Stephen Knapp. All rights reserved. What Makes Varanasi, India So Holy? What Are the "Ghats" in Varansi?